"A fantastic barrister who can really see the whole picture when it comes to a case." He also acts as a mediator and sits as a private FDR tribunal/early neutral evaluator. Jesus College, Oxford (Law). First Class. Exhibition. 2018: "He's a very sensible, calm and measured barrister. He gets good results for his clients and is easy to negotiate with. If there is a settlement to be found, he will find it." 2016: “He really is amazing. His attention to detail is fantastic and every client is instantly put at ease by his charm. He’s not your stereotypical barrister: he’s very down to earth. From day one clients love him to bits and he won’t litigate for the sake of it. 2014 “destined for the top” and as having “excellent judgment”. 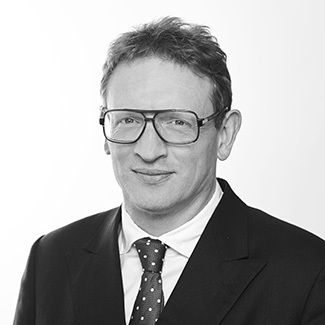 “His remarkable technical ability and fearless approach to litigation make him a real quality barrister”. He was nominated for family law junior of the year by Chambers and Partners. Married with two children. Lives in North London.